Carbon and Ford last month announced some interesting applications of 3-D-printed parts, including components Ford said would be printed on demand as replacement parts. 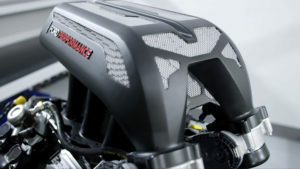 Ford in a Jan. 29 news release called the intake manifold “the largest 3D metal-printed part for a working vehicle in automotive history” and said it built it with help from the RWTH Aachen University” Digital Additive Production Institute in Germany. The part weighs about 13.23 pounds. Ford said the entire build process took five days. “We are fortunate to have access to incredible technology, but this was one project that pushed us – and our computing power – to the absolute limit. The manifold has a complex web‑like structure that couldn’t be made using traditional manufacturing methods. We ended up dissolving the support systems in acid,” Ford of Europe advanced materials and process engineer Raphael Koch said in a statement. 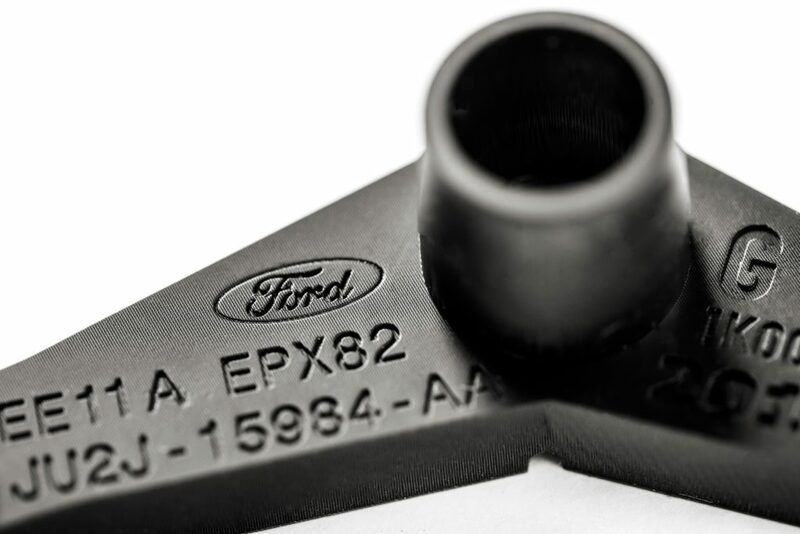 Carbon said it 3-D-printed service parts for Ford Focus lever arms, auxiliary plugs “for a niche market” of the F-150 Raptor — likely a reference to a Raptor part for China referenced in a December Ford news release — and e-brake brackets for Ford Mustang GT500s. 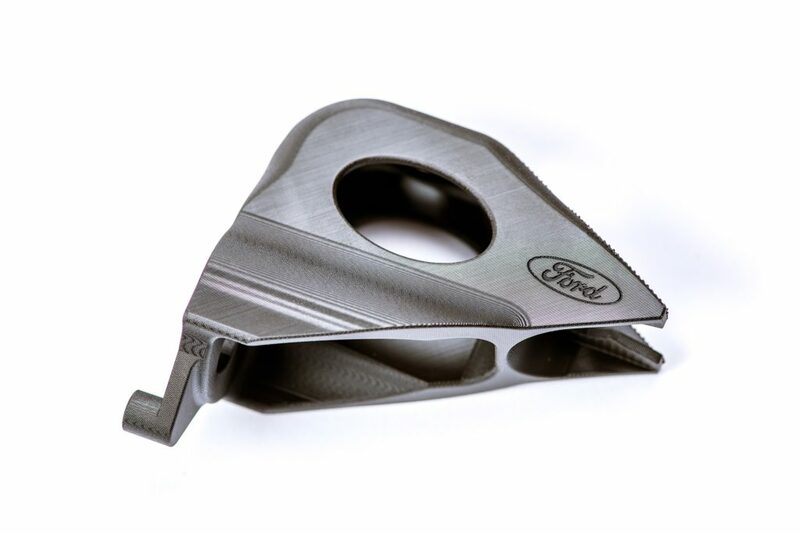 Carbon’s 3-D-printed spare HVAC parts for the 2006 Ford Focus snagged a nomination for the Society of Plastics Engineers 2018 Automotive Division Innovation Awards. 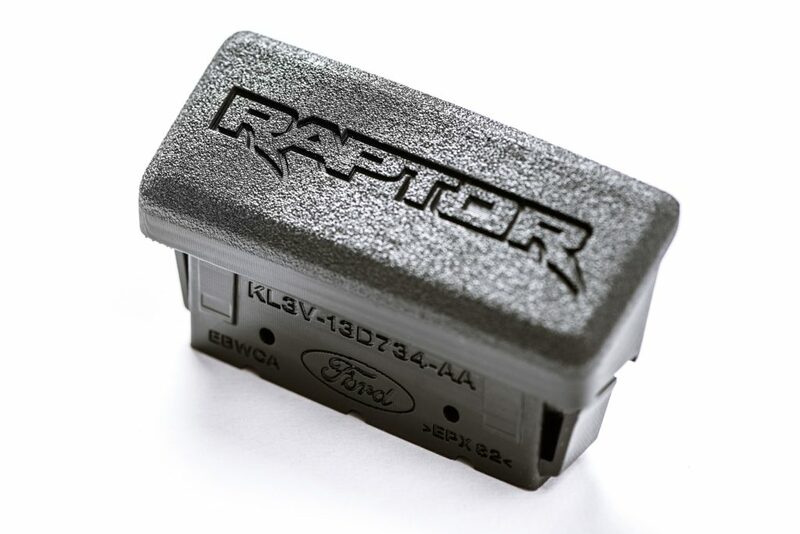 Asked what would happen if Ford needed replacement versions of the Carbon parts for the Raptor and GT500, Ford said it’d just print more rather than keep a supply on hand. Ford in December described a $45 million Advanced Manufacturing Center with 3-D printing capabilities. Today, Ford is driving the future of 3D printing in the automotive industry. The Advanced Manufacturing Center has 23 3D printing machines and is working with 10 3D manufacturing companies. This allows Ford experts to develop applications with different materials – from sand to nylon powder to carbon. One application currently under development has the potential to save the company more than $2 million. There are 3D printed parts in the manufacturing and production of Ford vehicles. The soon-to-be-revealed Shelby Mustang GT500, coming at the North American International Auto Show in January, has two 3D printed brake parts, while the F-150 Raptor built for China includes a 3D printed interior part. As 3D printing becomes more affordable, 3D parts will become more prevalent. Three-dimensional printed parts also help employees improve vehicle quality. Assembly line workers at Michigan Assembly Plant, where Ford builds the Ranger pickup, use five different 3D printed tools. These tools played a critical role in the launch of Ranger, removing weeks from an already tight timeline and ensuring quality is built in – from the first vehicle that rolled off the line. Ford, which purchased the third 3D printer ever made in 1988, now has 90 3D printers globally producing parts and tools. 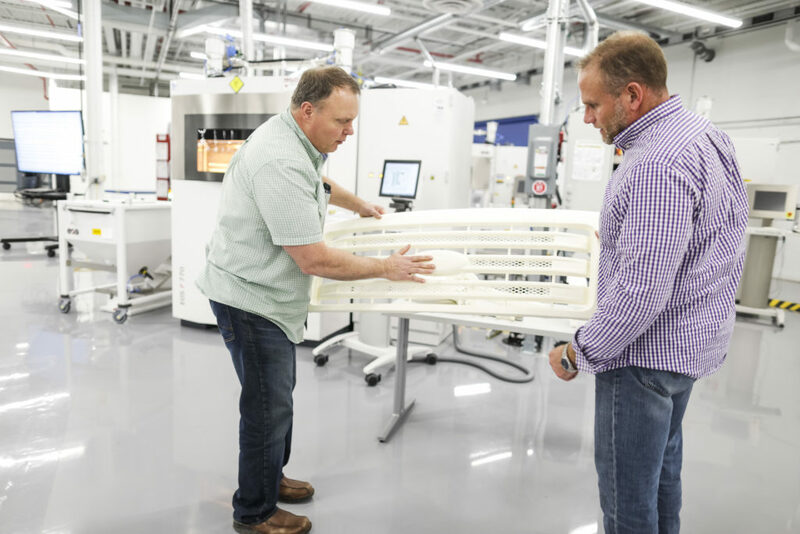 On the shop floor, workers team with advanced manufacturing experts to identify ways to save the company time and money, including how to 3D print replacement parts to keep lines running instead of waiting for parts that can take weeks to be fabricated. This is pretty wild and really could make for some interesting parts deliveries in the future as Ford gets more comfortable with the technology. However, it also raises new concerns about sourcing. If you think “Opt-OE” is a controversial and complicated topic to unravel right now, just wait until folks start advertising “Opt-OE,” “aftermarket” or “reconditioned” parts which are entirely or partially 3-D-printed. You don’t, for example, want someone with less advanced 3-D printing system attempting to pass off 2006 Focus HVAC parts made of a less durable polymer as OEM parts made of Ford-approved EPX82, for example. Ditto any 3-D metal parts like Ken Block’s Hoonifold or Bugatti’s titanium brake calipers. 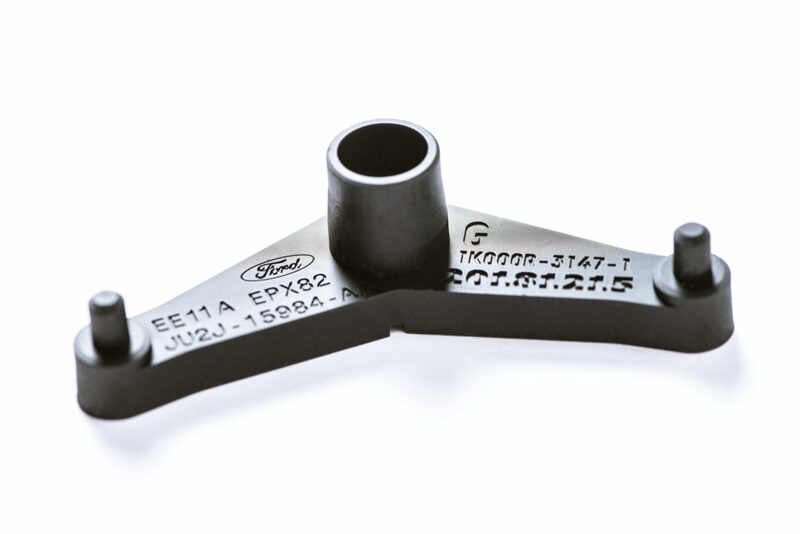 At least one other 3-D-printed automotive part appears to been nominated for the SPE awards. The program explains that General Motors was able to simplify and save money on an air temperature aspirator for a Holden Commodore GM sells in Australia. “After end of vehicle production, the part usage reduced to less than 10 pieces annually, and it was realised the original tooling was no longer available. (It had been disposed of.) The low volume, nonvisual aspect, and under dash mounting (no UV exposure) made it an ideal component for production development using additive manufacturing,” Blair Hocking & Stuart Redpath wrote in SAE Australasia’s Vehicle Technology Engineer magazine.